Whittier Hospital, owned and operated by AHMC Healthcare Inc.., is accredited by the Joint Commission. 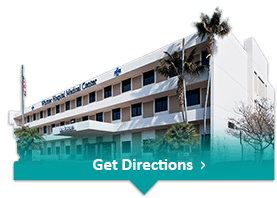 Whittier Hospital Medical staff consists of approximately 500 physicians representing over 40 specialties. Senior Services "The Golden Years Senior Club"
In addition the hospital offers one of the state's few Pediatric Sub- Acute units. Being part of the community has been an important goal throughout the years, and with your help and loyalty we can continue to provide health services that you can depend on.